Clean&Simple 257 | Stampers With Altitude!!! 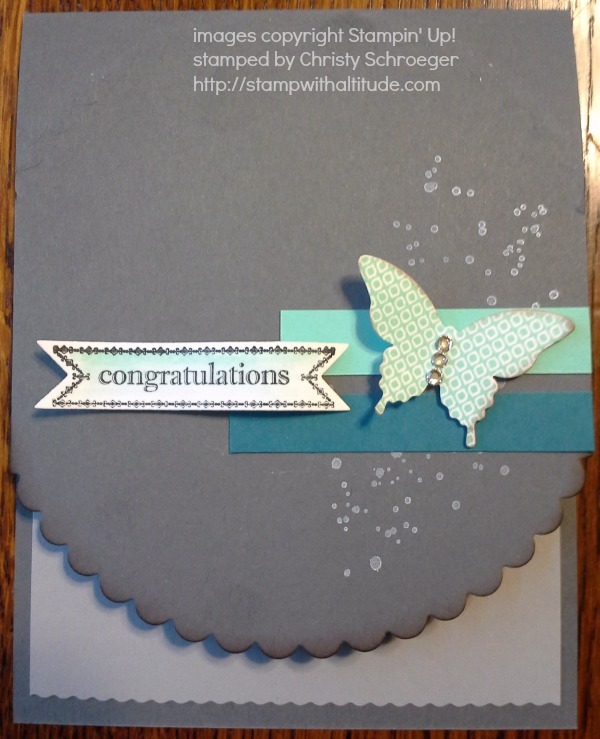 My name is Christy Schroeger and I am a cleanandsimplestamping.blogspot.com junkie. I admit it! Every time I see a layout, I have to do it. It’s a compulsion! When I saw layout 257, I knew EXACTLY what I was going to do. My love of butterflies only made this card EASY for me. 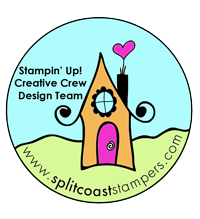 With the stamp set and punch bundled until the end of the month, it was just a no-brainer! *grins* I saw this layout a week ago. I have been itching to make this card because I had it all worked out in my head! But with the other responsibilities of life, I had to put this on hold.